BMX bikes are a combination between bicycling and motocross sport. It’s much cheaper to buy a BMX bike than an expensive motorbike. However, riding and racing on the bike can be just as exciting and entertaining. If you’re still wondering which BMX bike is worth the money, we’ll help you out. Here, you’ll find the top 9 best BMX bikes picks that range from $100 to $200. Read on below to see which one best suits your needs! 1. What is the best brand for BMX bikes? 2. 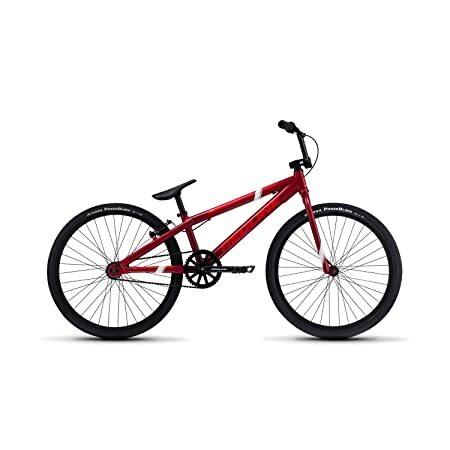 How much is a good BMX bike? 3. 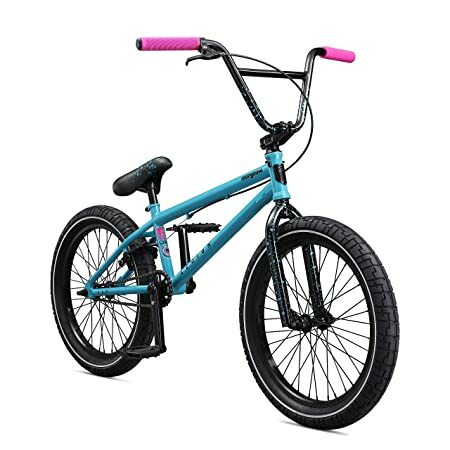 How do I choose a BMX bike? 4. What is the lightest BMX bike? We’re seriously in love with this Mongoose Legion L20 BMX bike. The colors are gorgeous. The frame is made from durable 4130 Chromoly and Hi-Ten steel. It can withstand the hardest landing very well. As per the drivetrain, you’ll get two 170mm crank arms coupled with a 25T alloy chainring and 9T cog sealed bearing rear hub. Also, the handlebars and fork are made from Hi-Ten steel connected with a threadless headset for maximum steering performance. The tires measure 20 x 2.3”. These overall specs make the bike perfect for riders from 4’8” to 5’4”. Plus, the L20 is lightweight. You’ll have no trouble carrying it upstairs or downstairs. You can also do the bar spin trick with this bike because the handlebar can be spinned 360 degrees. All in all this is a very good bike for the price. We definitely recommend it for both beginners and advanced riders. Another great model from Mongoose is this L40 freestyle bike. You may be wondering: What’s the difference between this and the L20 model? Well, the main difference is this L40 would be more suitable for riders from 5’ to 5’6”. Plus, you’ll get longer crank arms with this one. They measure 175mm with a 3-piece tubular chromoly hollow spindle, to be exact. Still, you’ll get a 25T chainring at the front and a 9T cog at the rear. This gives you a ratio of 25 by 9, or 2.7. This means with 1 pedal strike, you’ll move the wheels 2.7 rounds. Because this L40 size fits most riders and performs well, it’s also the #1 best seller in this category. If you don’t like the white tires, you can choose the grey model. It has purple colored wheels, which in our eyes look very unique. This bigger model is a little bit more pricey than the L20. However, is it worth it? We’d definitely say yes. The bike won’t disappoint you. You’ll have a great time doing tricks and racing with your friends. We think the ladies are going to love this L60 blue/pink bike just as much as the dudes with the black/orange one. We did expect this L60 to be somewhat different than the L40. However, it seems that the specs are pretty much similar. The only one difference between these two is the tires. With the L60, you’ll get wider tires, although not by much. They measure 20 x 2.4” to be exact. But, the price of the L60 is so much nicer. It’s only $30 more than the L20. With wider tires, we couldn’t understand how they managed to make the L60 lighter than the L20 and L40. This, by far, is the lightest model of all, weighing in 30 lbs. However they did it, we’re very glad to ride a light bike. The seat of this bike is pretty comfortable. But, considering this is a BMX stunt bike you wouldn’t be sitting that much all the time. What we also love about the bike is the minimal brake system. There’s only one hand brake on the right of the handlebar. This stops the rear wheel. Overall, a great bike with reliable performance that you can count on for years. Sorry for keeping you waiting too long tall riders! This L100 is definitely your best choice. It’s the perfect fit for riders from 5’8” and up. And it looks amazing! You’ll get a longer top tube with this model. It’s 21”, to be exact. That’s more leg room for you. We love the yellow walled rims. They blend in very nicely with the army green body frame color. You’ll pretty much get the similar specs with all the Legion models that we’ve seen. You’ll get two 175mm crank arms with 25T chainring and 9T cog at the rear hub. You can coast backward on this bike easily. The L100 is also pretty lightweight, measuring 30 lbs. The stock pressure on the wheels is around 20-60 PSI. You may want to inflate or deflate them to your liking. One tiny point you may find during your usage is the bolt holding the seat may be a bit loose. You can tighten it up easily. Other than that, a great bike at a great price. Definitely buy it! This bike is X-tremely cool! It’s definitely for the daredevils out there. The frame and fork are made from high-quality steel. All the components are tig welded with great precision. Your sons are going to fall in love with the bike. It’s also super safe to use thanks to the 2 brake levers. The one on the left controls the front wheel, and the right one stops the rear wheel. There’s a transparent chain guard that ships with this bike. From our experience with bikes up until now, this is the first time we’ve seen a clear chain guard on any bikes. A huge design pro right here! We love it! Also, they added a tail light and 2 reflectors for extra safety when riding. The bike is also super easy to ride. It makes no squeaky sounds at all. You do need to assemble this bike, though. It takes some folks around 30-60 minutes or so. If you’re not very good at assembling, don’t worry! It’s a very simple bike. Follow the instructions and you’ll build your bike in no time! Note that there’s no kickstand that comes with the bike. You may want to add one later. It usually costs less than $20. Overall, a very good bike at a great price point! You won’t regret choosing it! 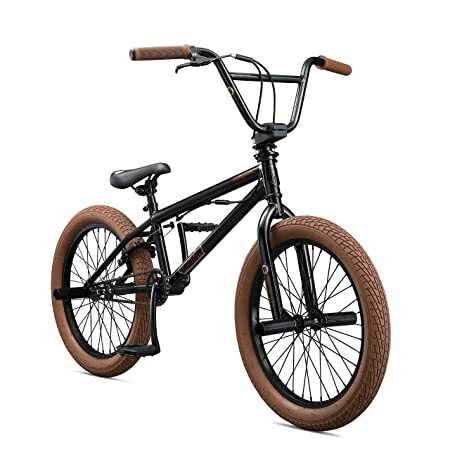 Tony Hawk is no stranger in the X-games field and this bike carries his hope to all the boys and girls out there who want to try out this amazing sport. First of all, it looks cool. Unlike the clear chain guard that you saw earlier on the X Games bike, this Dynacraft features an opaque black chain guard. You can still see through the guard nicely. If you or your loved one is a fan of the creator himself, buy this bike right here! There’s only 1 speed on the bike. This makes maintaining the bike super easy. You don’t have to worry about changing gears because there’s only 1 gear on the bike. Braking couldn’t be any easier. The bike sports alloy Promax u-brake on the rear wheel. You’ll also get your very own Tony Hawk graphics on the frame with neon green accents. The alloy threadless stem is park approved. You’ll ride in style and safety. Overall, there’s nothing much to complain about this bike. Most kids are very happy playing with the Dynacraft. Some even add LED lights onto the spokes and customize the bike with stickers and seat. This is a great present for your sons and daughters. They’ll have a lot of laughter riding the bike! Don’t look at this if you’re hungry! Because you have two giant yummy-looking donuts staring right at your face. Some funny folks call this the Dunkin Donut Dolomite. We think it’s dynamite! 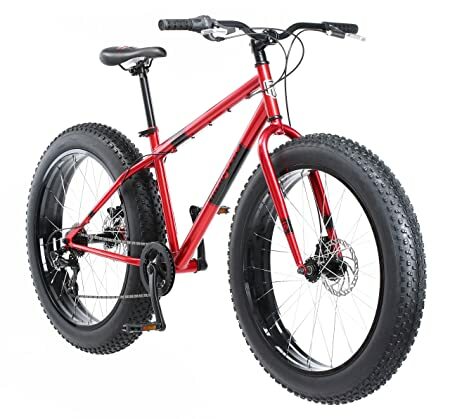 The wheels are blown up to 26 inches with super-sized all-terrain knobby tires. Seriously, a monster in this category! Unlike other 1 speed models, this dinosaur right here has 7 speeds. That’s 1 front chainring and 7 rear cogs. The shifter they use on this one is a grip shifter. You can find it on the right handlebar grip. To change speed, you just simply twist the grip away from or toward you. It’s super smooth and easy. With such high specs, you’d expect some equally powerful brake mechanism to stop this beast when it’s rolling. That’s exactly why they have a disc brake system. The disc brake system is used on most motorbikes and it’s very powerful. You’ll find brake cables connected to the wheels. On the handlebar, you’ll see the left and right brake levers. Squeezing the left lever will stop the front wheel, and squeezing the right lever will stop the rear wheel. This bike would be suitable for riders from 5’6” to 6’ tall. It also comes with a limited lifetime warranty. We’re satisfied with all the bike has got to offer. 5 out of 5 stars! 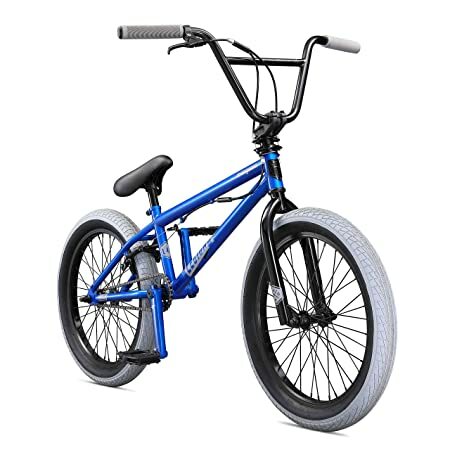 Here is a super light BMX bike for you! It weighs a little over 20 lbs. To be exact, it’s 22.9 lbs. The paint job is done beautifully. We love its red finish and black wheels. The overall design looks very clean. Although the diameter of the tires is pretty standard, you may find them a bit slimmer compared to other models. In fact, the tires measure 24 x 1.75 mm (front) and 24 x 1.6 mm (rear). We think because they made the tires slimmer, the bike is also lighter. The seat of this Redline is also very unique. You’ll get a pivotal race no padding seat. This is perfect for racing. The overall frame is made from 6066 alloy aluminum which is both strong and lightweight. For the crankset, you’ll get 2 Race Chromoly 175mm 3-piece cranks. You’ll also find Tektro 918 linear brake on the right side of your handlebar. These, honestly, are amazingly good components. Assembling the bike is also very easy. In a nutshell, Redline is a very well-made bike at an incredibly affordable price. We couldn’t be more satisfied with this choice. You’re going to love it! Our first impression of this Elite New model was that it looked very cute. The tires measure 20 x 2.5”. They are wider than some earlier Mongoose tires that you’ve seen. With this, you can race and ride somewhat smoother on dirt or vert trails. Most of the bike’s body is made from Hi-Ten steel. Specifically, the frame, headset, and handlebar. The cranks are 170mm long and made from Chromoly. The brake lever is made from alloy. The overall bike is also super light: 26.2 lbs. You’ll do some in-the-air tricks with ease. The seat post measures 25.4 mm and is adjustable. You’ll find very high-quality welds on the bike. The only issue you may find inconvenient is the tires arrive flat. Other than that, putting the bike together is surprisingly simple. 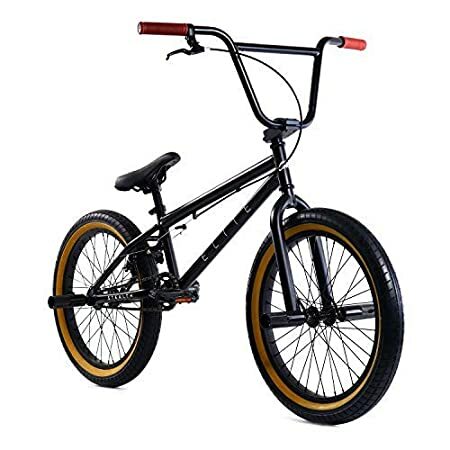 Overall, this is a complete BMX new model bike that’s well worth the money! On average, you’d expect to pay from $100 to over $200 for a BMX bike. If it’s a present for your kids, our #1 choice is the Mongoose Legion series. The Tony Hawk Dynacraft, X Games FS 20, and Redline MX24 are also affordable options under $200. If you want greater power, definitely check out the Mongoose Dolomite and Legion L100. Some bikes can hold riders up to 150 lbs, while others can support riders over 200 lbs. Typically, the smaller models would be great for smaller folks. The bigger models would provide great support for heavier riders. So, you definitely want to check this spec out. 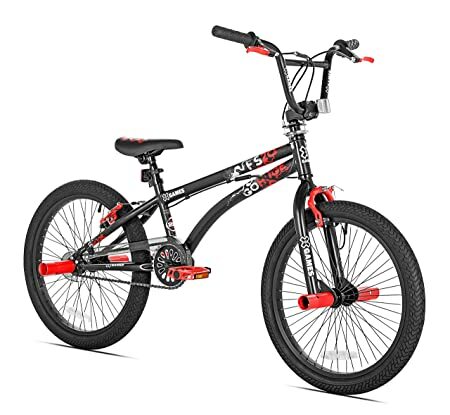 The basic idea behind a BMX bike is that it should be strong, rigid, simple, easy to control on the ground and in the air, and most importantly, lightweight. So, compared to other types of bikes, BMX bikes are usually on the lighter side. You’ll find the weight ranging from 20 lbs to over 30 lbs. This makes doing tricks super easy and simple. With heavier models like Dolomite, we wouldn’t recommend doing tricks on the bike. It weighs over 50 lbs and the risk is just too high. Stick with the 20-30 lbs range and you’ll be flying beautifully. The brands that stick out most for us are Mongoose, Redline, Elite, Tony Hawk, and X Games. 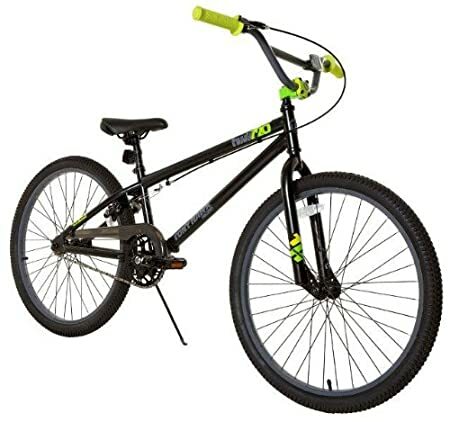 A good BMX bike may cause you from a little over $100 to over $200. Again, the price may depend on the size of the bike. The bigger the bike, the more expensive. However, you can buy a smaller-sized one and customize it a bit. Some folks find this option very economical. Size: You’ll typically find 20-, 24-, 26-inch wheels that ship with the bike. Also, check the product’s height. Some models like the Mongoose L20 are perfect for riders from 4’8 while others like the Mongoose L100 are more suitable for folks taller than 5’8”. Weight: Most BMX bikes will weigh from 20 to over 30 lbs. Some super-sized model like the Mongoose Dolomite weighs over 50 lbs. Aluminum frame is usually lighter than steel frame. So, you want to choose a bike that’s light and easy for the rider to handle. Speed: Most BMX bikes are 1 speed bikes. For kids or young adults, we recommend the 1 speed models. Because of they easier to ride and maintain. For other multi-purpose uses, you can check out the Mongoose Dolomite. This model has 7 speeds, which would be perfect for climbing up hills, gliding down hills, and riding over any terrains you like. 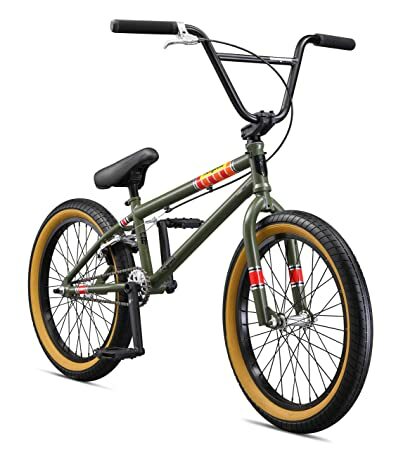 The lightest BMX bikes on our list are hands down the Redline MX24 and the Elite New Model 2019. They are both a little over 20 lbs.